Enhance thinner skin around the neck and décolletage area with Omorovicza Firming Neck Cream, a specialised skincare product available at Space NK. Thinner areas of skin occur as a result of the complexion being under-hydrated, making it more vulnerable to damage from the elements and environmental aggressors. This ensures that the first signs of ageing will be far more noticeable here. 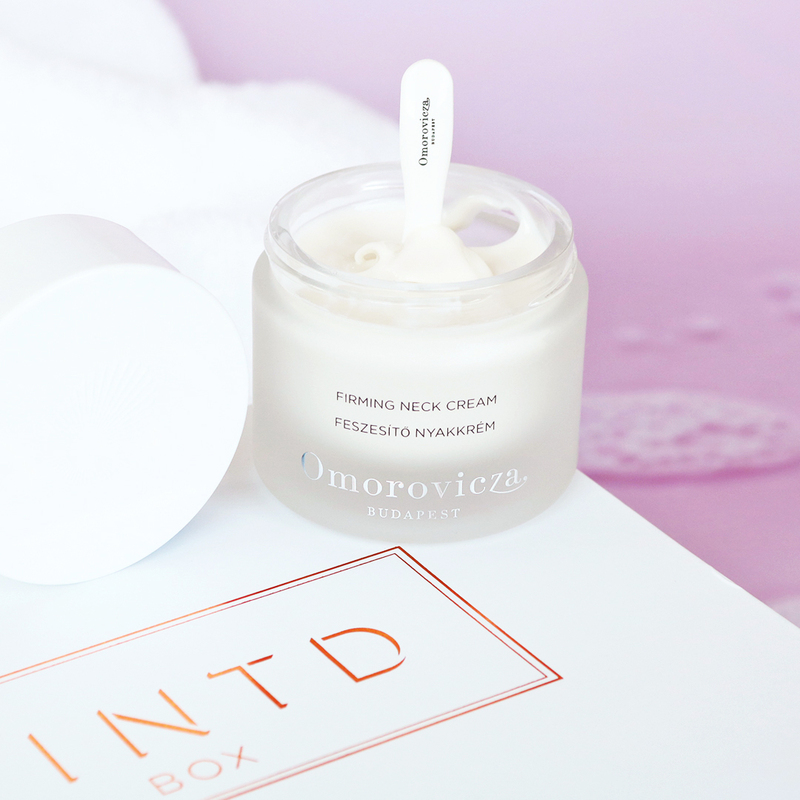 Omorovicza Firming Neck Cream was designed to tackle these issues, inspired by the ameliorating effects of Hungary’s thermal baths. The product has a delicate fragrance and a formula created to offer deep hydration, plumping and tightening of the skin to give a younger looking appearance. With an improvement in elasticity, the area around the jawline will seem better defined and those annoying fine lines will be far less noticeable. Use morning and evening by applying a small amount directly onto the neck and chest are in a gentle upwards motion until absorbed. This is pure luxury in a jar! It smells so nice and has so good ingredients in it! Truly a dream come true. Absolutely stunning cream. The packaging, texture, scent, everything! It's so luxurious and such a pleasure to use. it's such a joy every night! I haven’t tried much from this brand, but what I have is very luxurious looking and feeling and this is no exception. The cream is beautiful and thick, with a soft almond scent, and the little scoop/ spatula that comes with it makes the experience feel lots more indulgent. I have removed a star, because whether you use it alone or with other products, if you rub your neck the product sort of crumbs off a bit, which is annoying. Other than that I love it, very hydrating. Amazing how taut and firm this product makes my skin, lovely scent to it and In the morning you can definitely see a difference to the areas you have applied to.